Tracy Banghart is thrilled about SECOND VERSE by Jennifer Walkup. 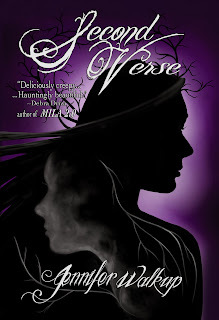 She says, "Second Verse is like trick-or-treating -- dark, creepy...with sweet rewards to keep you coming back for more." My husband could not put the book down he said it was a great book, wonderfully written and very intense. I think I am ready to read it now and will pass on so my mom can read it too. Loved it.